Our Arc Melting Furnace is effective for powder melting, arc casting, metallic and non-metallic buttons, compound synthesis and material densification. 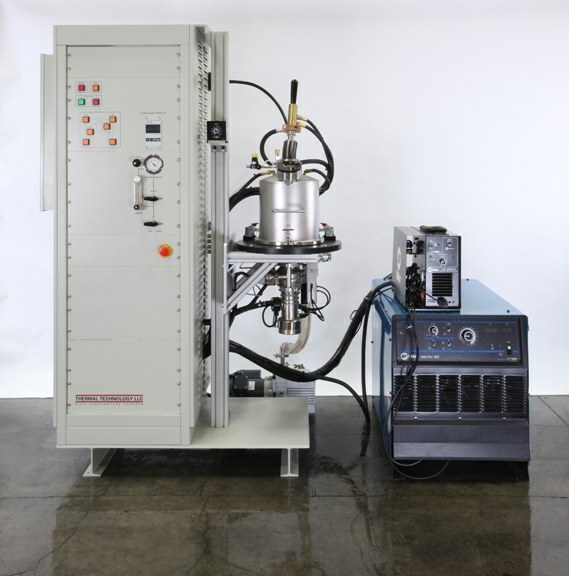 The ARC melting furnace features ease of operation, dependability, versatility, and affordability while offering instant high temperature and extremely pure melts. This Arc melting furnace accepts a variety of hearth configurations and can accommodate a titanium getter. Because of its simplicity, ease of internal access and small volume, TTs ARC melting furnace is easily purged allowing specimens to be rapidly formed with a high purity. 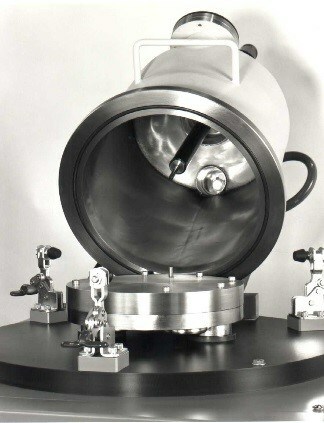 The ARC melting furnace consists of a water-cooled stainless steel bell jar hinged to a fixed baseplate. The electrode (stinger) shaft penetrates the top of the bell jar. The stinger is sealed at the top of the bell jar by means of a ball joint and stainless steel bellows. The hearth is water-cooled copper with interchangeable top surface. Various cavity configurations can be provided in the hearth top surface. Light and window ports facilitate inside observation. Clamps are provided for operation at a slightly positive pressure. Pressure compensation for “zero feel” is incorporated into the seal design. Provision is made for attachment to a vacuum pump for evacuation prior to back-filling with inert gas. Also included are ports and gauges for inert gas.